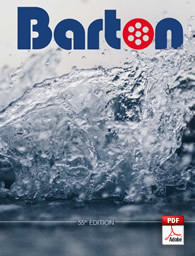 The Barton furling gear is available in two sizes for use on jibs fitted to Dinghies, Catamarans and day boats. Furling drum part no 42334 for maximum sail area up to 60 sq ft (5.74 sq m) or Furling drum part no 42335 for maximum sail area up to 100 sq ft (9.29 sq m). 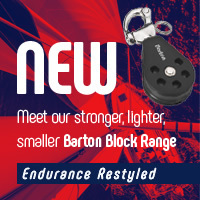 Both sizes use Top swivel part no 42336. 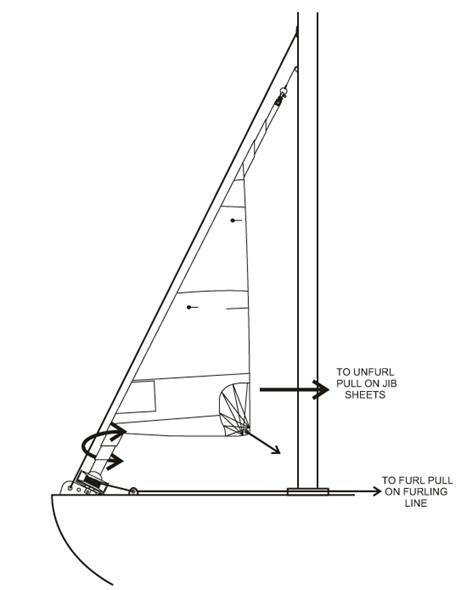 The jib requires a fixed wire luff and two attachment points at the bow, one for the forestay and one for the furling drum, separated enough that they do not touch. 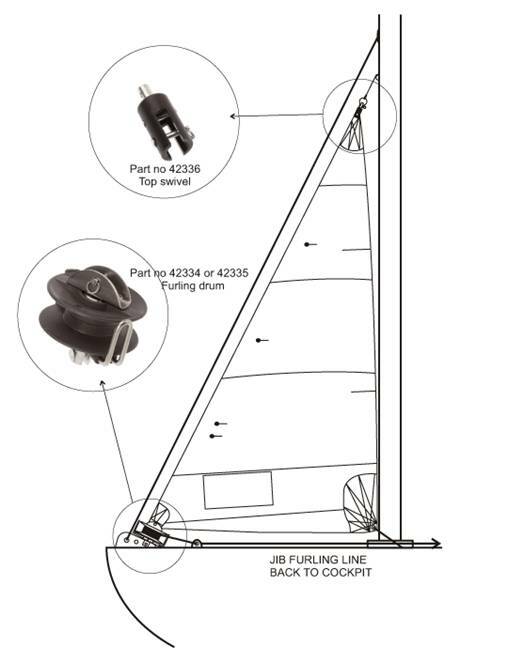 Attach the furling drum to the attachment point and then secure the jib tack to the top plate on the furling drum, attach the head of the sail into the top swivel forks and then secure the halyard to the top swivel with a shackle. Hoist the sail and tension the luff. 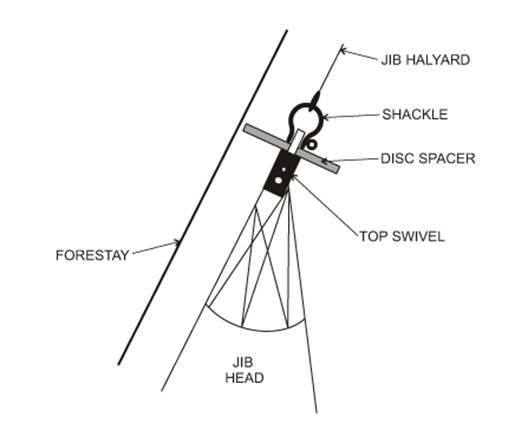 When the sail is being furled, the sail head will rotate and may come into contact with the forestay if too close, to prevent this from happening a round thin Perspex (or any other Non corroding material) spacer disc can be inserted between the swivel and the shackle, this will prevent the two coming into contact. Now attach the jib sheet and wind the Furling drum by hand anticlockwise until the sail is completely furled, continue to furl until the jib sheets have wrapped around the jib twice. Now attach a 5mm line up through the hole in the top of the furling drum and tie off using a stopper knot, and then thread the rest of the line back through the stainless steel eye of the furler and back to the cleat in the cockpit. 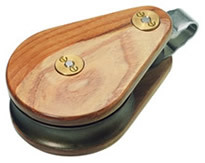 We would recommend fitting a bullseye to the deck approx 30cm aft of the furler to ensure the furling line is kept low to the deck and to ensure the line does not interfere with the jib and the correct lead is maintained to the cockpit. Safety: Never set a sail whilst the craft is out of the water. 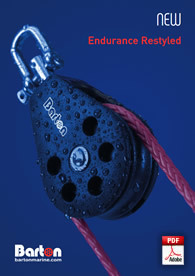 When at dockside only unfurl the jib when the conditions allow, ensuring that the craft is securely tied.